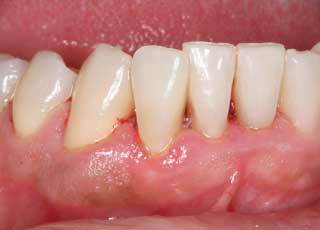 A loose tooth can actually be a sign that you�re dealing with late-stage gum disease. Can Loose Adult Teeth Be Treated? In many cases, it�s possible to intervene and stop the damage gum disease is doing to your teeth. Loose teeth are caused by the presence of bacteria and periodontal disease under the gums around the teeth. As the disease worsens, the gum pockets deepen due to loss of attachment structure. The bacteria from gingivitis and gum disease cause the body to destroy bone and gum tissue around the teeth, which are meant to hold the teeth in place.